Was William the Conqueror’s nightfall fire curfew - an early form of fire engineering strategy? 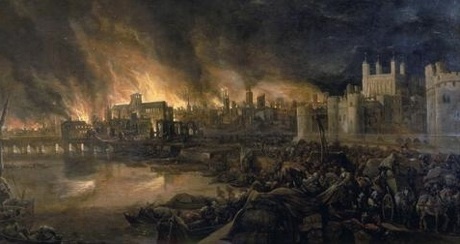 In 1666 the great fire of London caused the destruction of an area of London approximately 11⁄2 miles by 11⁄2 miles. One of the Building Control Officers primary aims is to try to ensure reasonable standards of health and safety for persons in or about the building, they’re professionalism and experience in applying the Building Regulations and associated codes has undoubtedly saved lives. One of the key concerns when appraising buildings for compliance with the current regulations is fire safety. Much of the changes to fire safety legislation over the years has come as a result of catastrophic fires where lives have been lost, here is a brief history of the way in which fire safety legislation has developed. 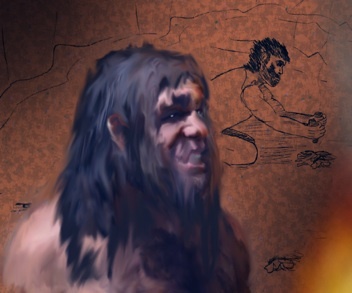 Early man discovered ways of starting a fire by very simple methods such as the striking flints together to produce a spark, which with some effort produces a spark that can be used to ignite dry combustible natural materials such as straw or animal fur etc. The ability to start a fire and to control its size and intensity lead to the production of metals such as lead, iron and copper which could be extracted from rocks and made into tools and weapons which were used for cooking and hunting. 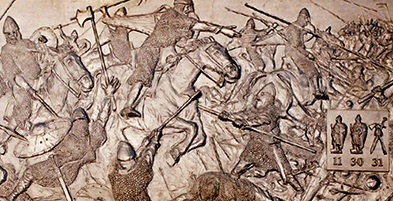 In the 11th century William the Conqueror imposed a curfew on the community, which required that all fires and lights be extinguished in buildings at nightfall. This law was made because fires were being left unattended and unguarded at night, consequently sparks and burning particles of fuel from fires were igniting floor covering which were commonly made of straw, causing fire to rapidly spread throughout the building. Houses and buildings were generally made of natural materials such as timber with thatched roofs, which would readily catch fire. In 1666 the great fire of London caused the destruction of an area of London approximately 11⁄2 miles by 11⁄2 miles, the fire destroyed 87 churches and 13,200 houses 6 people were also killed in the fire. The fire started in a shop in Pudding Lane, which was owned by the Kings baker Thomas Farynor. Sparks from the burning building soon spread onto other buildings in the area, which were constructed mainly of timber and many having straw roofs, causing the fire to rapidly spread. The fire spread from house to house very quickly down Pudding Lane and Fish Street Hill destroying the church of St Margaret, after some six hours it had pread halfway across London Bridge and was only stopped by a gap between the buildings which had been left by a previous fire. After the great fire of London King Charles II made a proclamation requiring that the walls of all new buildings be constructed of brick or stone and that the width of the streets be widened to help prevent fire spreading. The Tooley Street fire of 1861 in which a large warehouse burned for two days, which resulted in the size of warehouses buildings being controlled to have a maximum volume of 216,000 cubic foot (6,116 cubic meters). A fire in Queen Victoria Street in London, in 1902 resulted in eight people being trapped on the top floor of a building and losing their lives; some of those lives were lost due to the stair and escape routes being engulfed in fire. This fire lead to the LCC (London County Council) being given powers under the London Building Acts (Amendment) Act 1905 to require building works to be carried out in certain existing buildings to facilitate the safe escape of the occupants in the event of a fire. The risk of fire spreading throughout a building via ventilation and air conditioning systems was highlighted in an office fire in Lombard Street in London in 1963. As a result of this fire and others that were very similar a Working Party was set up in May 1963 to look into the fire precautions that were necessary to prevent smoke and fire spreading via air conditioning and ventilating systems in the event of a fire. The Working Party published recommendations in March 1964, which stressed the need for urgent research to be carried out into the design; construction, maintenance and efficacy of fire dampers, and into various aspects of fire spread throughout ducting systems. In 1985 a fire engulfed a stand at Bradford City FC ground and claimed 56 lives, the cause of the fire is thought to have been started by the dropping of a lighted cigarette which ignited rubbish that had left under the old wooden stand. 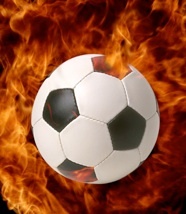 This fire was the worst ever recorded in the history of football, and resulted in an inquiry, which was chaired by Sir Oliver Popplewell. A report was published in 1986 and it resulted in new legislation governing safety at sports grounds across the United Kingdom. Fire safety continues to evolve and hopefully disasters will get fewer and fewer over the years to come. It is important not to forget why we made fire safety regulations so that we do not make the same mistakes again and again. As we enter the next millennium our continuing knowledge and understanding of fire and how to control it will develop for the betterment of us all.